Our professionally trained technicians bring extensive mechanical experience to every performance parts installation, custom fabrication, suspension tuning, and corner balance on your high-performance vehicle. We also perform routine maintenance to factory specification, including tire mounting and balance, four-wheel alignment service, and transmission engine overhaul, as well as body repair and additional services in our premium collision repair centre. The knowledgeable consultants in our parts department provide professional advice and consultation for your performance and genuine parts needs. At Speedstar, we provide just the right touch when servicing your vehicle, whether factory spec or with performance modifications that can no longer be serviced at your dealership. Partner with us for special projects including track conversion and on-track technical consultation. Our shop is fully equipped and ready to service major European brands including Ferrari, Lamborghini, Porsche, Maserati, BMW-M, Mercedes Benz AMG, Audi RS and more with our state-of-the-art diagnostic tools and computers. Speedstar is proud to be your technical partner for your racing needs. 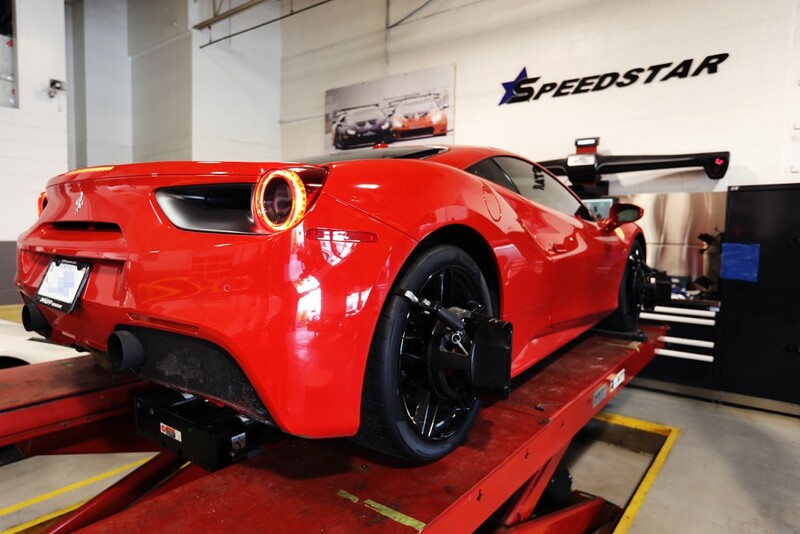 Utilizing state-of-the-art equipment and the most up-to-date technologies, Speedstar is able to service your vehicle from street to track for a fully built race car. Speedstar also offers an arrive-and-drive race program according to your race preferences. Visit our motorsport website. Speedstar offers a wide variety of performance upgrades and professional installation services for your vehicle, including exhaust systems, brake upgrades, suspension, and engine bolt-on to name just a few. With our extensive motorsport knowledge and experience, we can also assist with special projects such as a race car makeover. Speedstar is proud to be your one-stop service facility. 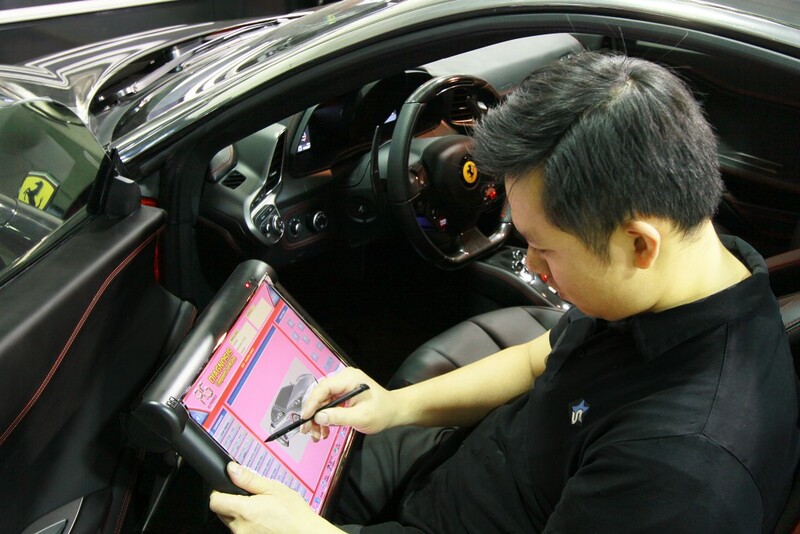 We cater to exotic vehicles such as Ferrari, Maserati, Lamborghini, and Porsche with our most advanced factory-standard scan tools and equipment. Our service consultants and factory-trained technicians are committed to providing you with an immaculate service experience, as well as passionate care above and beyond dealership standards. You can’t maximize speed without control — our philosophy is that it takes a well-balanced car for optimal performance. Our highly experienced alignment technicians use state-of-the-art equipment, the Hunter HawkEye Elite Pit Ground Alignment System, to align your vehicle to perfection. We apply the same technique to corner balancing as we do in motorsports to provide the very best handling of your vehicle. 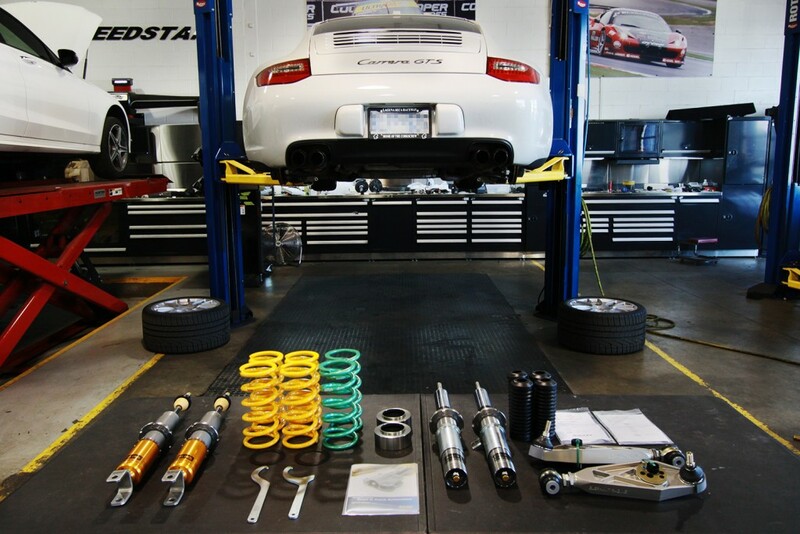 A proper suspension setup is critical for vehicle handling. Manufacturer specification settings can provide only a suggested baseline of handling feedback. At Speedstar, our suspension specialist perfected the art of suspension tuning with extensive race-winning championship experience. Whether you are looking for a time-attack setup or a club racing setup, our specialist can customize suspension based on your driving behaviour and track configuration. Even your most precious vehicle will eventually start to show signs of aging; your high-performance engine and transmission will get worn and torn over time. Speedstar offers rebuild services with a full range of engines and transmissions to restore your vehicle back to peak performance status. We thoroughly inspect, clean, and renew these internal components as required, which will then be reassembled according to specification. We pride ourselves on our In-House Fabrication Department, which develops different ranges of unique custom parts. 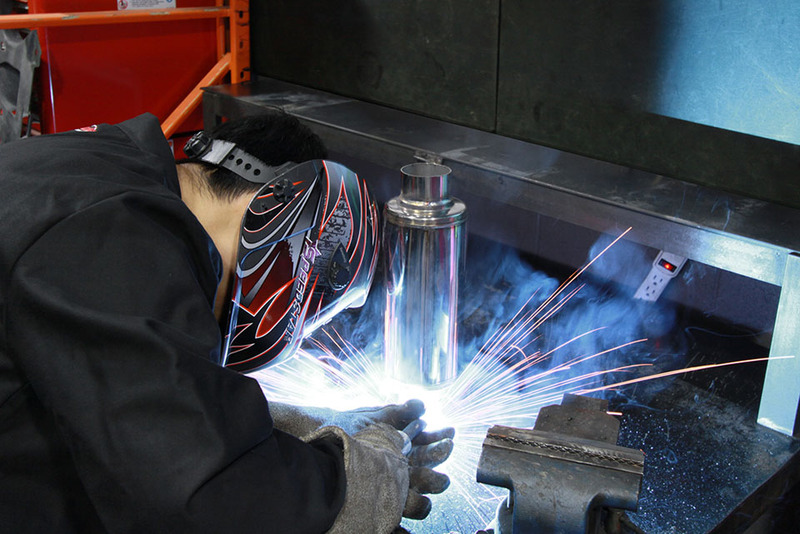 Our fabrication department offers custom fabricated exhaust systems, chassis reinforcement, and special one-make components. Please contact us with any projects you have in mind. 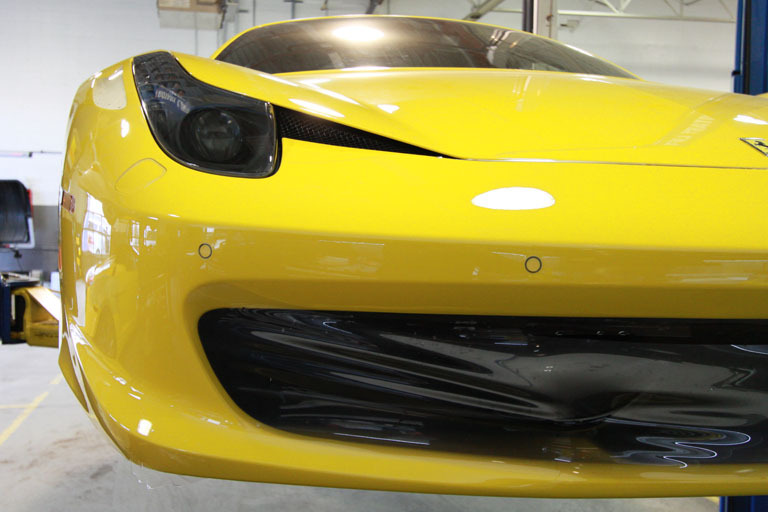 Speedstar is proud to introduce our collision repair centre featuring top-of-the-line equipment and body repair specialists. 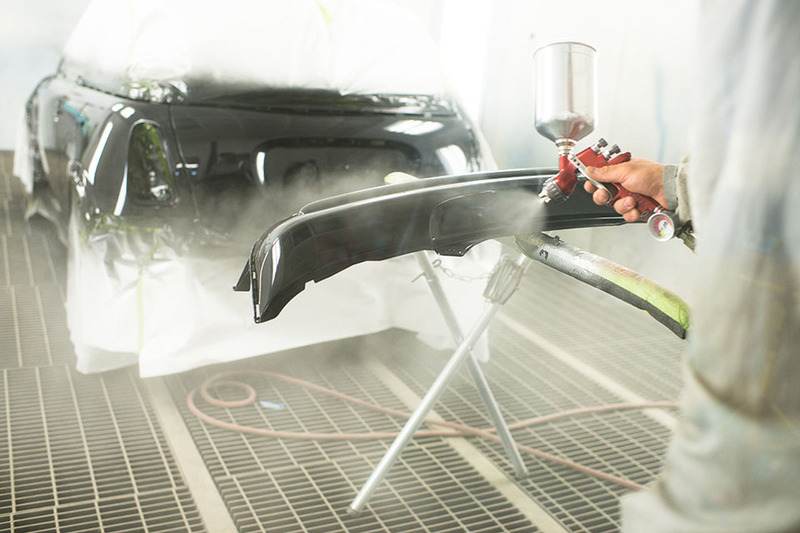 With our exceptional quality control, we guarantee your satisfaction by ensuring the highest quality collision repair and repaint services to bring your vehicle back to its original state.